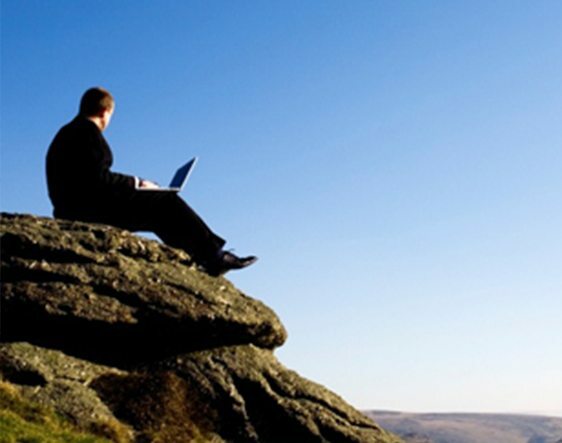 Almost three-quarters of British workers believe it’s important that their employers allow them to work remotely. Clearly, the demand for workplace flexibility is prevalent, but is the technology available to enable fully flexible working environments? Contributor Mark Twining, partner and account manager – Curo Talent. Data from the Office for National Statistics (ONS) states that the number of British employees working remotely has increased by a quarter of a million in the past decade. Enabling more flexibility, the trend boasts increased productivity and engagement from staff. However, despite its advantages, implementing remote access technology is not without complications. Since the launch of Windows Server 2012 and Windows 8.1, the preferred way to gain remote access for enterprises has been by deploying DirectAccess. The Microsoft technology has long established itself as the go-to Virtual Private Network (VPN) technology for businesses, providing workers with remote access to on-premise data and applications, as if they were in the office. DirectAccess is, however, difficult to implement and manage for some organisations. The platform was built primarily on IPv6, which means the Windows 7 client used to connect must be IPv6-enabled. This has caused some difficulties for applications that operate on different internet protocols. Users of popular design software AutoCAD, for example, are unable to gain access to licenses when using DirectAccess to connect. Despite these complications, DirectAccess is still used successfully by plenty of organisations. However, some are transitioning to Always On VPN. Unlike DirectAccess, Always On VPN uses IPv4. Using Always On VPN, the worker can connect remotely, regardless of what wireless network or device they choose to use. For instance, even if a worker is using a brand-new laptop and free public Wi-Fi, connecting to the network is still possible. This seamless connectivity is enabled by Always On VPN’s built-in support for both IPv4 and IPv6. Because Always On VPN natively supports Extensible Authentication Protocol (EAP), it also allows the use of diverse Microsoft and third-party EAP types as part of its authentication. The most notable advantage of Always On VPN is that, as the name suggests, the platform is constantly running. This allows workers to gain quick access to the network without the need to log on, connect or register whenever they need access to files. Sounds ideal, right? While Always On VPN poses several connectivity advantages, it does require lengthy configuration, setup and network-knowledge to effectively implement it into an organisation. The platform uses a combination of technologies, which any experienced infrastructure engineer would understand. The complication is that the platform touches several different components within a network. “Before deploying remote access technology like this, the IT engineer needs to fully understand how a network is bolted together,” explained John Davies, Curo Talent contractor and Always On VPN expert. “Often, an organisation’s Public Key Infrastructure (PKI) is not up to scratch, but for remote access to be effectively deployed, this needs to be updated first. NCSC certification can also provide organisations with reassurance that remote access will not hinder the security of their network. Traditionally, security officers will have opted for tunnelling data in and out of the organisation. This means that all files and documents go through the organisation, prohibiting workers from using free or public Wi-Fi to access these files. Always On VPN uses a Conditional Access Platform to alleviate this concern. The cloud-based platform allows organisations to create access rules for any device connected through the cloud. This requires managed devices to meet standards before they can connect to the VPN, better protecting files and documents. With over three-quarters of British employees requesting remote access to their workplace documents, organisations would be ill-advised to ignore the advantages this technology can provide. However, before investing in any remote access tool, it is imperative that organisations contemplate the complexities of deployment and, if required, seek out an experienced expert to implement this technology.